Many people turn to home haircuts to save time and money. Hair clippers are fairly easy to use with a little practice. Get the right kind of clippers for the types of styles you want to cut and practice on a few willing friends or family members. 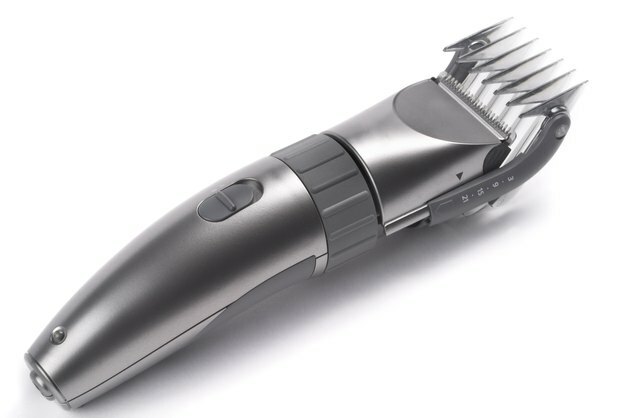 Soon you'll be able to give a clean and even haircut every time with clippers. Consider the type of style you're aiming for when choosing clippers. Look for clippers with a variety of combs and attachments if you will be cutting different lengths of hair. Find clippers with adjustable blade angles to cut various layers within one style. Get clippers that have edge guards if you're cutting closely around the ears. Set up an area to cut hair that easily can be cleaned and swept up. Consider getting clippers that have little vacuum bags attached to catch stray hairs from flying all over the room. Use a cape that ties snugly around the person's neck to prevent hair from sticking and keep it flowing to the floor. Wet hair with a spray bottle to make sure it lies in place while using the clippers. Dry, fly-away hair can be difficult to hold in place and the cuts can easily become ragged and disorganized. Make sure hair is clean and free of hair products such as mousse or hairspray to get an accurate view of the hair. Comb the hair in place using the style you want to achieve as a guide to cutting. Tilt the person's head slightly forward and beginning cutting with the clippers in the back. Run the clippers in the opposite direction of the hair growth. Work up the head and around the sides, stopping to look at how evenly you're cutting each portion. Cut hair in small portions and finish a close cut at the nape of the neck, evening out the lines by running the clippers with the hair growth on the ends. Use well-sharpened scissors to cut uneven hairs that were missed by the clippers. For longer hair, hold out a section at a time and run the clippers along the edge of the hair, using scissors to add jagged edges or to even up the ends. Use clippers to keep a short haircut and sideburns trim between salon visits. Stop occasionally while cutting to blow out the clippers to prevent irritation. Make sure the clippers are cleaned thoroughly between cuts to avoid spreading germs.